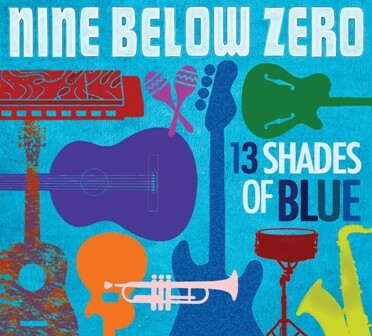 Rhythm and Blues band Nine Below Zero continue to promote their latest album, 13 Shades of Blue, with a UK tour which visits the Robin 2 in Bilston on March 10, 2017. 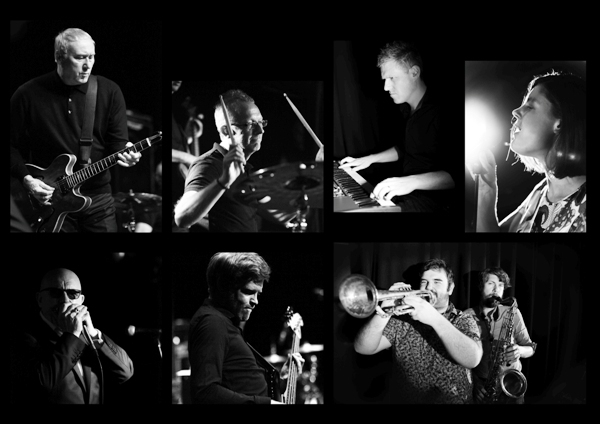 The touring outfit includes three original band members - Dennis Greaves (guitar/ vocals), Mark Feltham (harmonica) and Mickey 'Stix' Burkey (drums) – plus bassist Ben Willis, a horn section, keyboardist, violinist and backing vocalists. 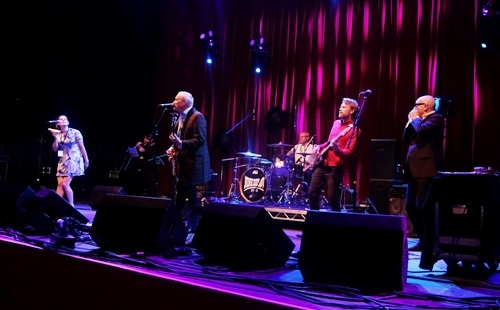 Since their formation in 1977 Nine Below Zero have developed a reputation as one of the best blues bands in Britain. Their high energy live act was already well established by the time they signed to A&M Records in 1980, with the excitement of their gigs captured on the classic album Live At The Marquee. "We never had a hit single, but we became a cult band with an almost fanatical following,'' says Dennis. 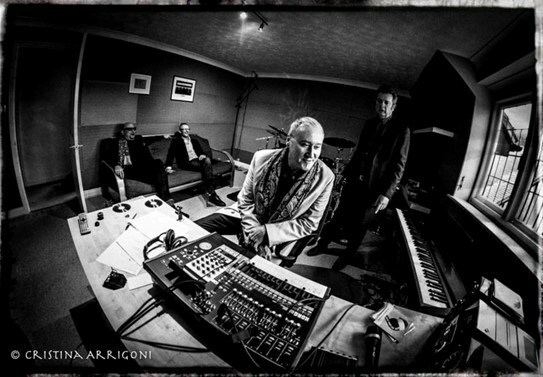 Dennis formed Stan's Blues Band in 1977 with school friends, then recruited harmonica player Mark Feltham who lived on the same Peabody Estate in Tulse Hill, South London. "I thought we were the only people playing blues, but when we got on the circuit I discovered there were other bands out there," Dennis remembers. "There was Red Beans And Rice, The Blues Band, The Little Roosters, The Inmates, Dr Feelgood – it was quite a big thing." Changing their name to Nine Below Zero in 1979 and signing to A&M Records in 1980, they released Live At The Marquee, followed by Don't Point Your Finger in 1981. Their last album before they split, Third Degree, followed in 1982. Dennis reformed Nine Below Zero in 1990 with Mark, who left in 1992 but rejoined in 2001. They continued to tour and record, releasing albums such as It's Never Too Late and Refrigerator. 13 Shades of Blue, which was released in September 2016, opens with Don't Lay Your Funky Trip On Me, made famous by Señor Soul. Dennis first heard the original track playing as background music in a bar. ''I thought, this is great, who is it? I got out my phone, which has the app SHAZAM, and found out it was Señor Soul, a band that would soon become War. War were famous for a track called Low Rider and featured the harmonica player Lee Oscar. I thought, this is a perfect start to a new project: Best of the Blues by Nine Below Zero taking in all the shades the blues offers. The next move was to start a playlist on Spotify and to share it with the band. So began 13 Shades of Blue." It wasn't just the band that did its research. Squeeze member Glenn Tilbrook, whose 45 RPM studio was used to record the album, and who plays sitar guitar on the track That's What Love Will Make You Do, rang Dennis and said, "I've just heard a track on the radio that Nine Below Zero would murder. It's called Don't Play That Song (You Lied) by Aretha Franklin, you've got to do it." The Nine Below Zero version features guest vocals from Charlie Austen who walked into a blues night Dennis hosts and asked to sing. "She sang Stormy Monday and the whole place stopped in their tracks, blown away by her performance," says Dennis. Throughout the album, the sound of the four-piece band is augmented by the addition of a horn section, keyboards, violin and backing vocalists to create a new NBZ Big Band sound. Speaking about how the Big Band idea came about, Dennis says: ''It was at a warm-up gig for Universal's back-catalogue release at The Blues Kitchen. In the audience was a good friend of the band and Universal's catalogue man, Johnny Chandler, who was responsible for putting out the deluxe versions of Live At The Marquee, Don't Point Your Finger and Third Degree. Having seen our show at The Blues Kitchen he said, 'you should do a Best Of album'. By this, he meant go through the full spectrum of the blues, picking rare songs in the style of R'n'B, Soul, Funk, Blues and Cajun and record them in our own NBZ style. So with the help of Johnny's vast knowledge, having been a DJ, and my use of Spotify, YouTube and my vinyl collection, we started to compile a play-list together. We then formed a Big Band, made up of friends and local musicians, to help us bring the songs to life. The fruits of this labour is 13 Shades of Blue." The new-look Nine Below Zero made its live debut on the Acoustic Stage at Glastonbury 2016, then began a UK tour in the autumn. Dennis says: "To be back on tour with all the guys is incredible… the energy, enthusiasm and the magic are back." Mar 25: King Tuts, Glasgow.